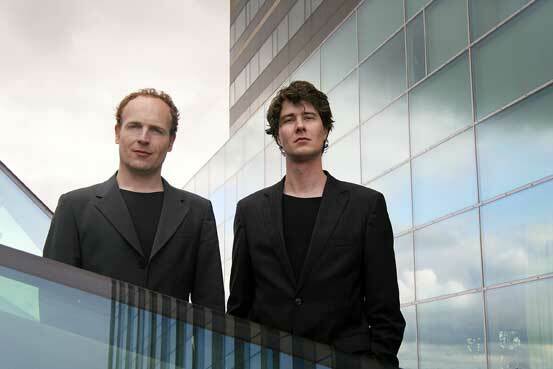 Verso is a unique and virtuosic duo, playing a wide range of styles from ancient to contemporary music. In search for new repertoire they often ask composers to write for their duo, which has resulted in a collection of more than sixty original works. The music is extremely diverse and adventurous: contemporary classical is interwoven throughout with shades of world music, jazz, pop and dance. Verso has been awarded many times in international competitions: De Vriendenkrans and Concertgebouwprijs (Amsterdam 2003), Comradio contempory music prize (Barcelona 2003), IBLA Grand Prize and the Piazzolla award (Raguza, Italy 2006). The virtuosic ensemble BLACK PENCIL was founded in 2010. The ensemble’s debut concert took place in the same year at the prestigious Amsterdam Concertgebouw, followed by the world premieres of several new works at the large-scale festival Istanbul: European Capital of Culture 2010. The ensemble has given numerous concerts in The Netherlands (Concertgebouw Amsterdam, De Doelen Rotterdam, Muziekgebouw Eindhoven, Bimhuis Amsterdam, Philharmonie Haarlem, Schouwburg Almere, November Music Festival, a.o), Germany, Ireland, Turkey, Denmark and Venezuela. Black Pencil focuses on broad repertoire with new works composed especially for the ensemble, as well as an adventurous range of their own early music arrangements. As a contemporary music ensemble, until now they received about 70 new compositions dedicated to them. The name ‘Black Pencil’ stems from the ensemble’s first project, inspired by a remarkable series of miniatures by the painter Mehmet Siyah Kalem (15th century, presumably of Turkish origin). In English, ‘siyah kalem’ literally translates as ‘black pencil’. Black Pencil’s performances are characterized by being original, historically informed, fresh and virtuosic, together with a unique instrumentation: blockflute (Jorge Isaac), panflute (Matthijs Koene), viola (Esra Pehlivanli), accordion (Marko Kassl) and percussion (Enric Monfort). Zerafin is a colorful, cosmopolitan ensemble, open and contemporary. The musicians come from all over the world and are specialists on their instrument. They have lived in the Netherlands for many years. Zerafin is a tight group, seasoned and polished by a long-standing collaboration. Zerafin is fresh and daring, and during concerts this driven group radiates enthusiasm, joy and energy. The music of Zerafin moves between contemporary composed music, world music and improvisation. Zerafin regularly collaborates with other ensembles, musicians and artists from other disciplines. Zerafin plays on small, medium and big stages and festivals in the Netherlands and abroad. Zerafin plays for a broad audience of music- and culture lovers. Zerafin gives the Dutch society an opportunity to participate in the authentic richness that each musician brings to the Netherlands. Zerafin is our present for the Dutch music. Please contact Rienk Blom, Blom Music Management.